Good magazine racks are hide to find. They serve the practical purpose of storing magazines and newspapers, but, given they are on display, they might as well do it in a stylish way. Go beyond the boring with the Italian designed and made MAG rack. A contemporary design made for looking at. 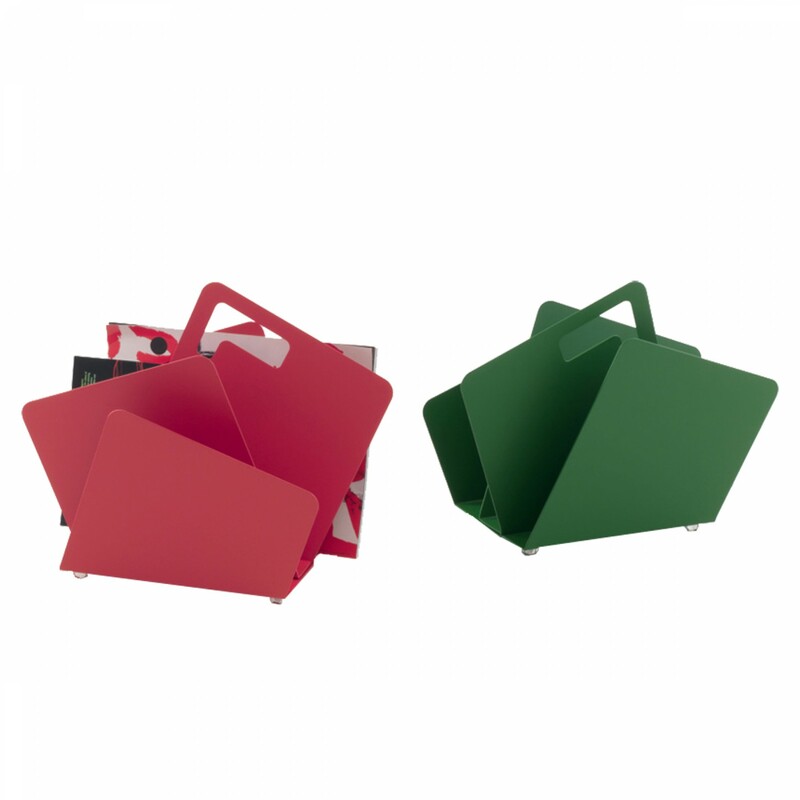 Add a punch of colour to a contemporary space with the red or green MAG rack, or make a more subtle statement with grey. A stylish and sculptural magazine rack with 3 sections for magazine storage and a handle. Made from aluminium for sturdiness, this striking magazine rack makes a stylish statement in the living room, home office, reading nook or bedroom. We keep a limited number of Mag racks in stock, so delivery within 1-2 weeks. We will call you to confirm stock and lead time once you place your order.